I began with baroque music as a 9-year old harpsichord aspirant: my piano teacher, Effie Carlson, had one in her living room, and though I was a woefully undisciplined piano student, I always thrilled during lessons at her house when I would be permitted to play a few bars on that rarefied keyboard, its plucked sounds so delicate and delicious and different from its younger cousin. I listened to Scarlatti, to Telemann, to J.S. Bach and William Byrd, to Mozart and Haydn, it all a woven dream. But live performance of harpsichord music in Oak Ridge, TN was virtually non-existent. When I moved permanently to New York in 1969, I finally could listen to my fill. 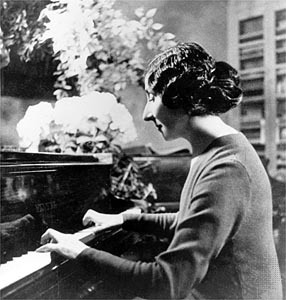 The great Wanda Landowska has always been my idol – her available recordings, though achieved with mid-1900s technology, at best, and the few film clips of her performing, though jumpy and of poor sound quality, still demonstrate the nec plus ultra of performance practice, her driven execution of the most difficult arpeggios hard to believe coming from a human pair of hands. She played possessed, Olympian, eternal. I never drive through Lakeville, CT (where the Jewess settled in 1949 and lived out her post-war years after fleeing France during the Nazi onslaught in 1940), without wondering in which house in that beautiful little town her genius thrived. My unsatisfied desire has found another outlet, though, a way to live and breathe that already has exceeded my wildest expectations. It resides elsewhere, in the magnificent fingers and exhaustive commitment of the preeminent harpsichordist of our age, the true heir to the Great Landowska. Andrew Appel has no equal, much less a better, walking the face of the earth. For twenty-five years or so, I’ve watched and listened as Andrew’s talents have effloresced, both as a solo artist and leader of the now 27-year old Four Nations Ensemble. Sit in the audience when Andrew plays, as close to the keyboard as possible. 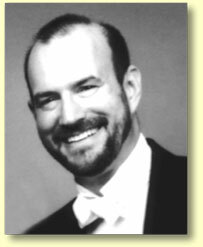 Make sure you can see his body, not just his hands, and his face, contorting with joy and imprecation as he toys with the keys, the phrasing, the sostenutos and rétardes, milking every single, last drop of sensuous sound from Couperin’s immortal music. One imagines, perhaps without cause, that he’d respond to a critic of his evocation of Couperin as Landowska famously countered when Pablo Casals criticized her playing of Bach: “You play Bach your way, and I’ll play him his way.” (For an eyewitness account and the original exchange in French from June 26, 1941, see http://glenngould.org/mail/archives/f_minor/msg01400.html ). Appel is also a raconteur par excellence, his pre-concert mini-lectures leaving the audience members not only well-informed (be it of court life in the reigns of the later Louis, or the compositions of Rameau and Charpentier), but also feeling that for a moment at least, we can be like Andrew, audacious with our senses, members of a certain cognoscenti, higher and better than we were before we entered the hall. With bonhomie and the broadest of smiles, Andrew dishs forth clever anecdotes, his vast and deep knowledge of those times, bringing to life the French court members’ love of Watteau, their afflictions with pox, and their sad but brilliant lives. His bons mots are delivered with the twist of a sweet knife, a bejeweled dagger of wit thrusting into the air as his sallies hit home, his pleasure so obvious in well exectured deliveries. At a recent recital, he told of Couperin’s fame being so huge that almost none dared publish harpsichord music during the master’s adult life, as nothing could compare. In the single year after Couperin’s death, though, we learned that over 50 composers made their work public. This deftly delivered factoid was offered with glee and the audience both gasped and laughed. Andrew twirled about, and with a rumba gait, positively danced the three steps to the bench of his instrument, reveling in his talent and a job so well done.